On a clear day, you can see the Pacific! Built in 2000, the main house is wide open! Eclectic studio unit is up in the trees with its own driveway. 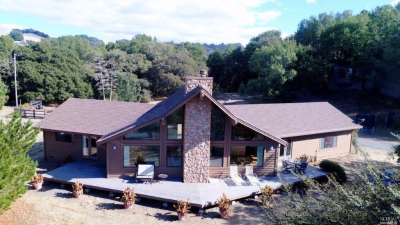 Sitting on 5.11 acres this stunning home has 2 bedrooms and two bathrooms and amazing views.